Move over, Maleficent... there is a new witch in town and she's busy planning her Halloween dinner! Delight your guests with this visually stunning design in shades of purple, green, black, and white. When designing an event, consider a mix of banquet and round tables with coordinating elements to break up the event and add visual interest. 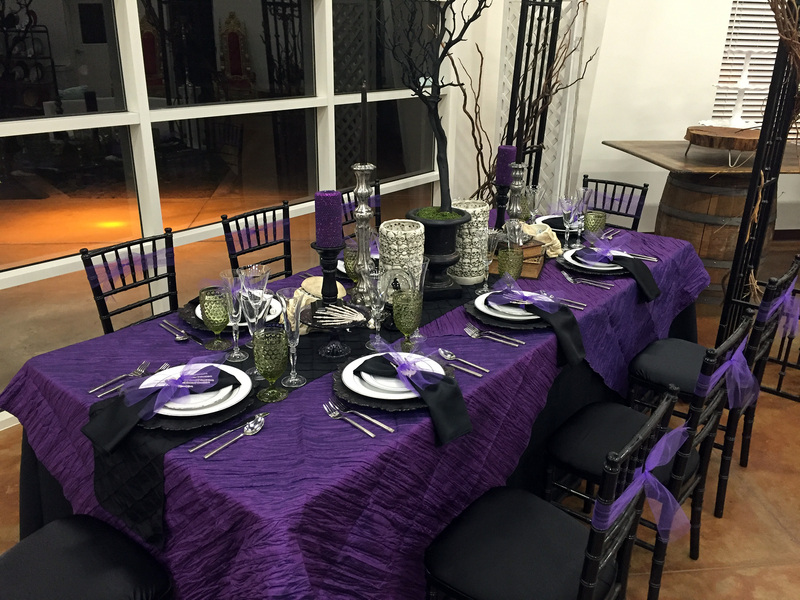 This design features a canvas of our purple crush linens to give the table a bright and vibrant look. 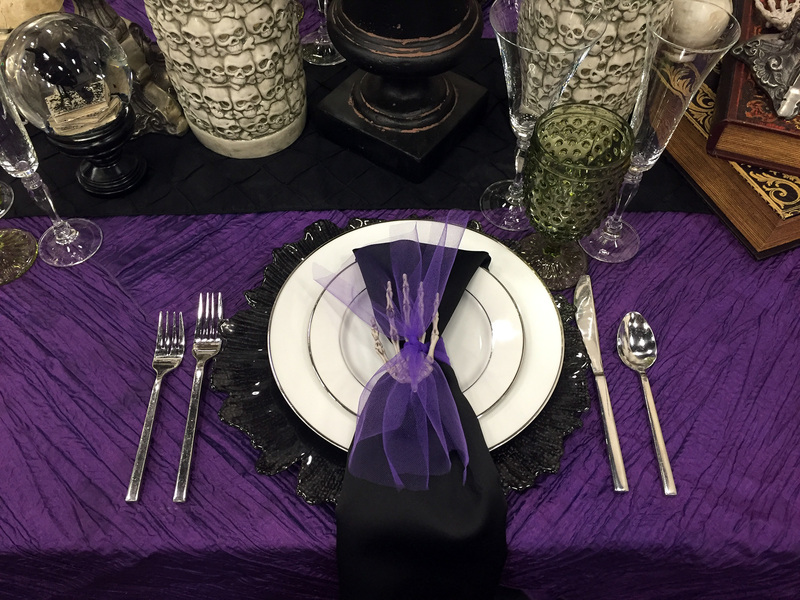 Each place setting also features the gorgeous Sponge Charger in black, the perfect piece for the season! 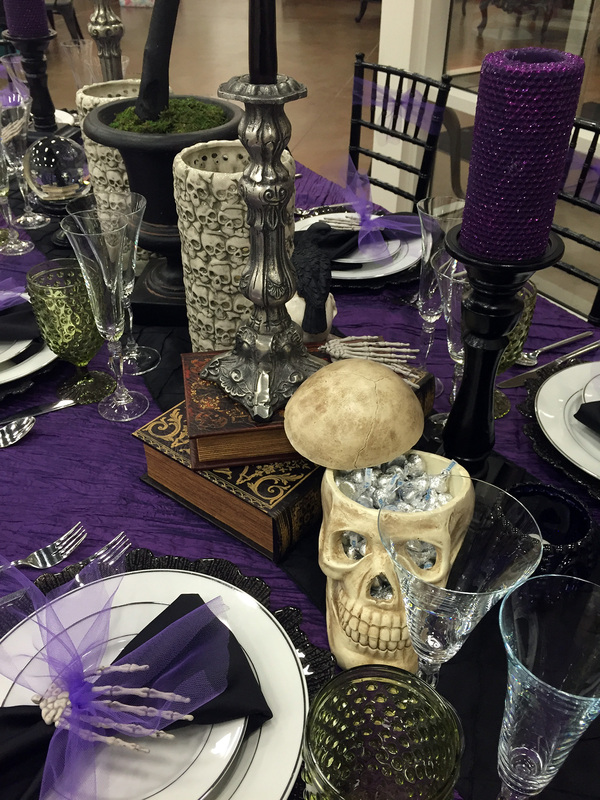 Give your table an authentic witch's lair look by adding some old books for a design element and platform, like skulls or a crystal ball. Throw in some other playful elements to tie it all together and you end up with a theme your guests will be talking about for the rest of the year!